Col. Ty Seidule ’84, professor and head of the history department at the U.S. Military Academy at West Point, will deliver Washington and Lee University’s Constitution Day lecture. 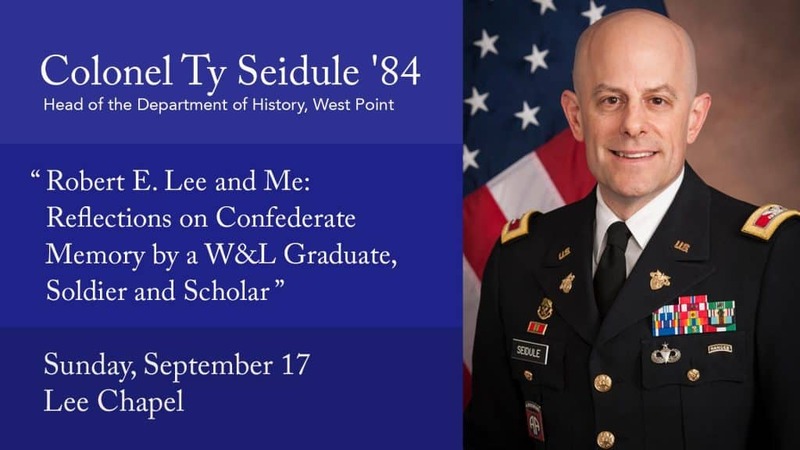 Seidule’s talk, titled “Robert E. Lee and Me: Reflections on Confederate Memory by a W&L Graduate, Soldier and Scholar,” will be held in Lee Chapel on Sept. 17 at 7:30 p.m. It is free and open to the public. Seidule received his B.A. from Washington and Lee and his M.A. and Ph.D. from Ohio State University. 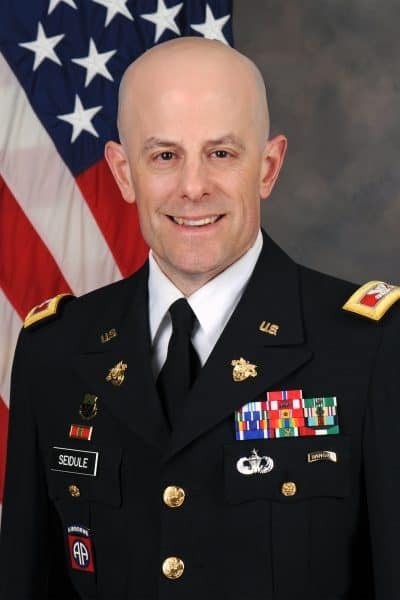 During his 30 years in the U.S. Army, Seidule has commanded cavalry and armor units in war and peace, serving in the United States, Germany, Italy, the Balkans, Saudi Arabia and Iraq. A leader in digital history, Seidule is the creator and senior editor of the award-winning “The West Point History of Warfare,” an enhanced digital text published by Rowan Technology. He is also the creator and series editor of the “West Point Guide to the Civil Rights Movement” and the “West Point Guide to Gender and Warfare,” which is used by all cadets at the U.S. Military Academy. Seidule also writes on West Point history, including Civil War memory and African American history, has chaired the Memorialization Committee at West Point, and is working on a history of the Black Power movement at West Point. As a public historian, he has created several open online courses. “Professor Seidule’s lecture will be the second major event in our yearlong Washington and Lee: Education and History series,” said Conner, “in which we are bringing a variety of speakers and scholars to campus to engage in issues of history, identity, self-representation and institutional understanding. The talk is sponsored by the Mellon History in the Public Sphere project, the Office of the Provost and the History Department. Seidule’s talk will be streamed live online at https://livestream.com/wlu/ty-seidule.